The Memorial Candle Program has been designed to help offset the costs associated with the hosting this Tribute Website in perpetuity. Through the lighting of a memorial candle, your thoughtful gesture will be recorded in the Book of Memories and the proceeds will go directly towards helping ensure that the family and friends of Mae Wells can continue to memorialize, re-visit, interact with each other and enhance this tribute for future generations. Mae E. Wells, 98, of Cheshire, MA, passed away August 19, 2018 at Mt. Greylock Extended Care Facility after a brief illness. Born in Decatur, Illinois on February 22, 1920, to Paul and Bertha Williams Wiseman, she was a 1938 graduate of Decatur High School. She married the late John H. Wells II on October 5, 1945. He predeceased her on February 24 2001. They moved to Pittsfield in 1946 and then to Cheshire in 1954. Mrs. Wells worked as an administrative assistant in Ordnance at General Electric for 38 years, from 1947-1985. Prior to that she worked for Western Union in Decatur. 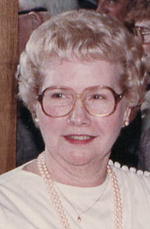 Mrs. Wells leaves behind her brother, Arthur D. Wiseman and wife Rosemary of Orland Park, IL. She also leaves behind many nieces and nephews. Besides her parents and husband, she was predeceased by her brothers and sisters, Walter Wiseman, Weltha Krueger, Ester Pauline Gossett, Dale Wiseman, Mary Evelyn Powell, Carl Adam Wiseman, Paul Wiseman Jr., Oliver Wiseman, Otis Wiseman, Milton Wiseman, Bertha Lucille Spaugh, and John Wiseman. The family would like to extend a personal Thank You to the nursing staff at Mt. Greylock Extended Care Facility for their compassionate care. To send flowers to the family of Mae Wells, please visit our Heartfelt Sympathies Store.